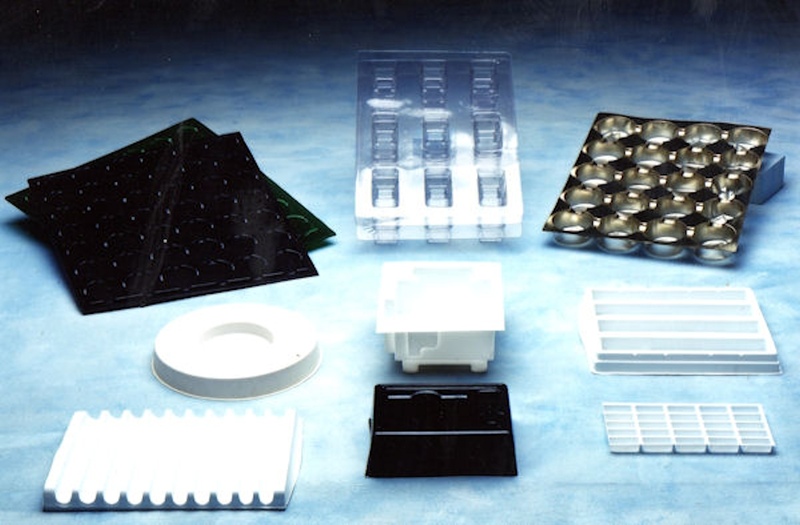 Thermoformed plastics offer much versatility in a shipping tray for a fragile and costly product. The product is contained in a orderly fashion and protected by a contoured cavity in which a product is placed with great ease. Packages which are used repeatedly may be vacuum formed of durable heavy gauged plastic at a fraction of the cost of injection molded or molded foam items.